I was offered a review, and I actually let my teenage daughter's boyfriend choose her something for her upcoming birthday - so she hasn't seen it yet! He chose this gorgeous and fairly delicate personalised Mini Heart Necklace with her name on. 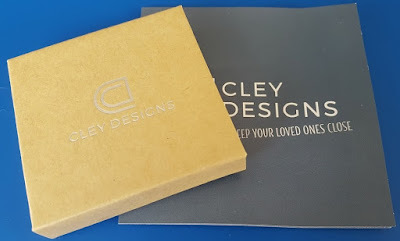 It arrived really quickly, within a week, nicely presented in a gift box. Inside the gift box the necklace was carefully wrapped in very pretty tissue with silver hearts. 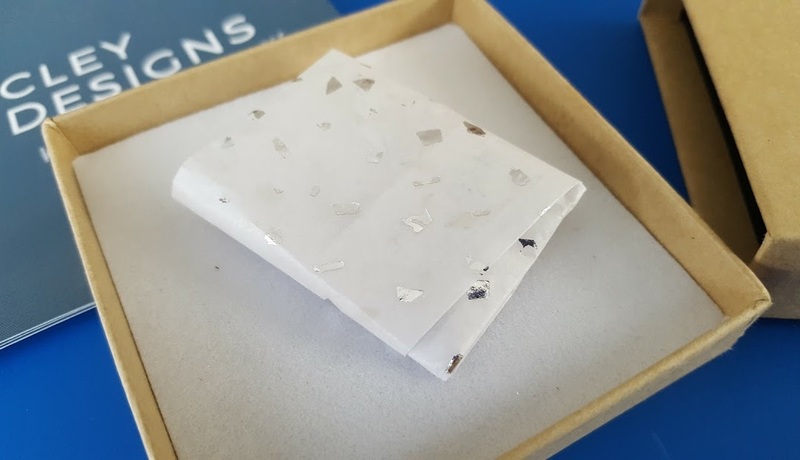 It felt very special opening it, and I've rewrapped it with care, so that she will also get that special newness too. The standard chain is an 18inch (45cm) Silver Belcher Chain. Longer chains, Snake Chains and Silver ball Chains are also available at extra cost. The necklace itself is available in Bronze or Sterling Silver, and the embossed personalisation can be left as a clean finish or given a 'black finish' to make it stand out. 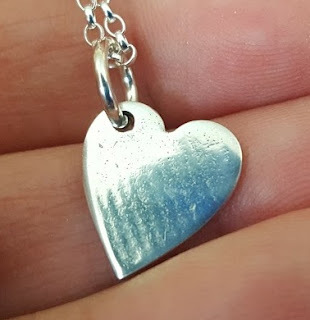 It's a gorgeous heart-shaped charm in fairly thick silver, with softened rounded edges. Clearly hand made, if you catch it at the right angle you can see where the Silversmith has worked the silver. I love that. Mass produced goods don't have those sort of stories to tell in their imperfections, they only bear marks where they've been pressed out of a machine. 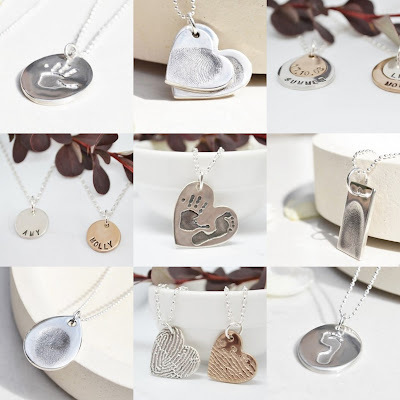 Guru Company specialise in adding your own features to their jewellery, and will use your photographs to add fingerprints, footprints and handprints to charms, and can also personalise rings! It's a lovely way to celebrate the birth of a baby, or to give someone a special personal reminder of their loved one. 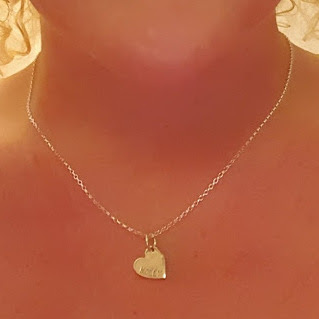 I'm very pleased with my daughter's necklace, it's gorgeous and will suit her perfectly. 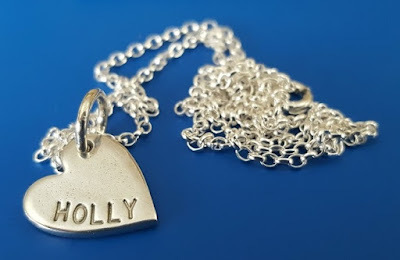 My charm and necklace in Sterling Silver costs £45. The quality is clear, and with free UK postage on everything the Guru Company prices are good, often comparable to off-the-shelf non-personalised Silver necklaces and charms. You can find out more and see the entire range on the Guru Company website. This is a lovely site! 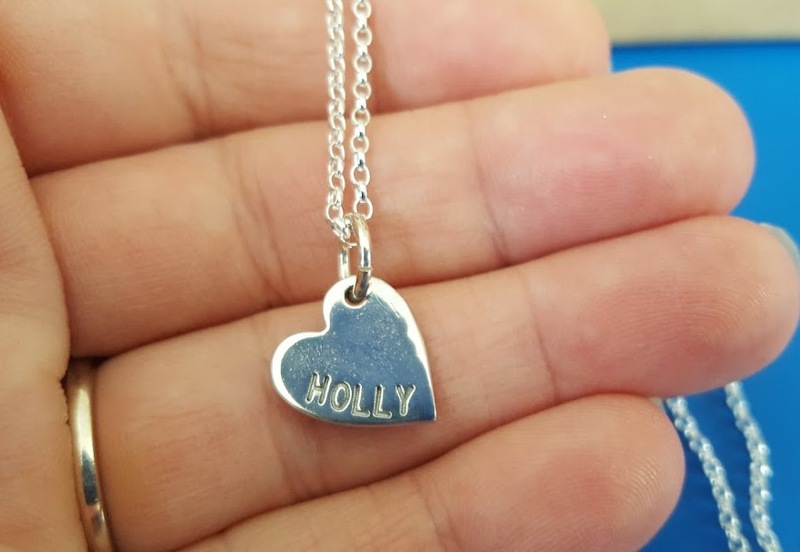 I gave my sister a voucher as a gift when she got my niece christened and she put it towards a mini personalised teardrop necklace for when she is a little bigger! Silly Sausage Family Game Review (age 7+).